Gusty winds today as clouds thicken. Storms Thursday could be severe. 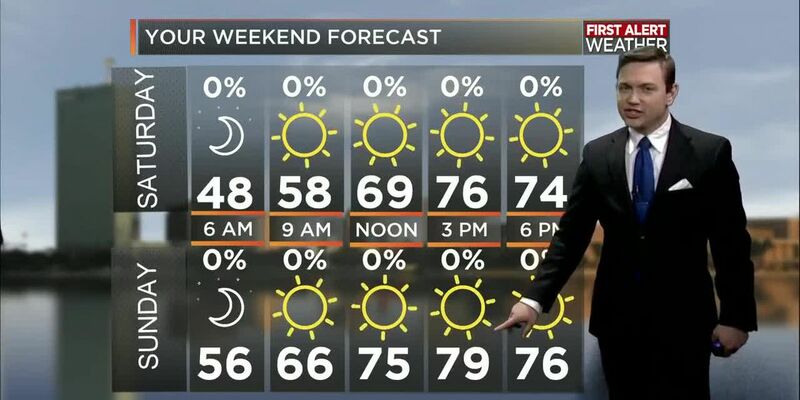 LAKE CHARLES, LA (KPLC) - With the increase in cloud cover overnight, temperatures are running a tad bit warmer to start the morning with most all of Southwest Louisiana averaging the lower 60s as you head out the door this morning. You won’t need much of a jacket as temperatures again heat up quickly today. The use of the umbrella will be limited today, if not impossible, thanks to gusty south winds that will be over 25 to 30 mph at times and be accompanied by one or two stray showers later this afternoon and evening. High temperatures will top out in the upper 70s today, with the added clouds and influence of the Gulf breeze keeping areas along and south of I-10 below the 80s but parts of Allen, Beauregard and Vernon parishes could see lower 80s further north today. Winds will continue to kick up a bit tonight as low temperatures drop into the upper 60s to near 70 under cloudy skies with the chance of rain and storms increasing a bit more after midnight. Thursday is set up to be quite an interesting day with rain and storms arriving during the morning hours and lasting through the afternoon. 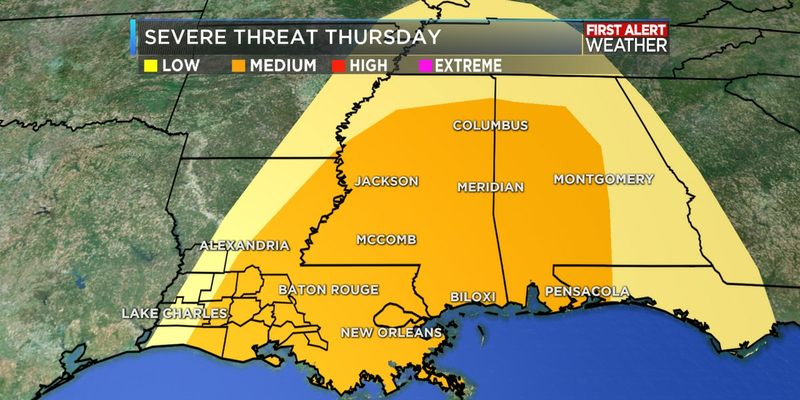 The severe threat is highest just east of Southwest Louisiana, over mainly the Acadiana parishes. 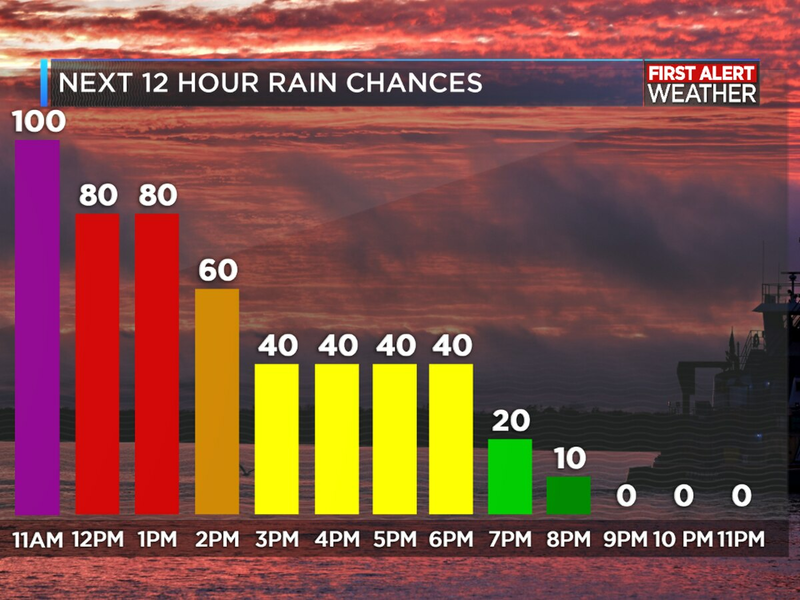 Storms chances will be highest during the early afternoon as the front pushes through with a squall line of storms that will be capable of damaging winds, large hail and even an isolated tornado. 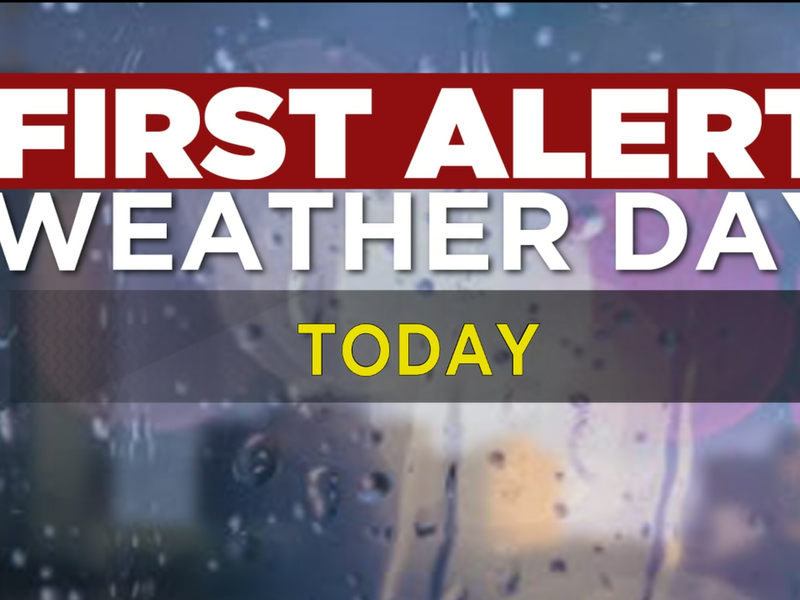 Thursday is a First Alert Weather Day, so make sure to have a way to receive severe weather warnings such as through the KPLC Weather App on your phone or tablet device and also having a working NOAA Weather Radio in your home or place of work. 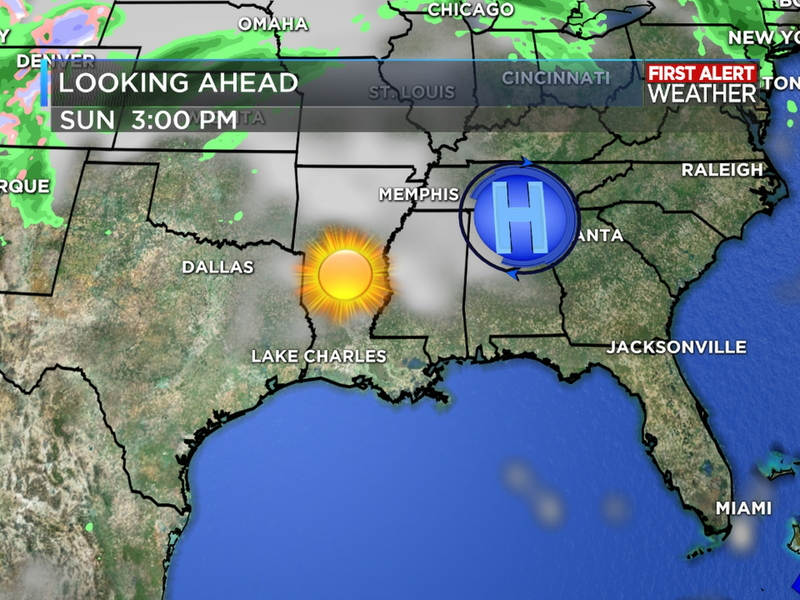 The front will continue to move through by late-afternoon with rain chances quickly coming to an end Thursday evening followed by a drop in temperatures with lows Friday morning back into the upper 40s to lower 50s as an abundance of sunshine returns for Good Friday and lasting all the way through the Easter weekend. 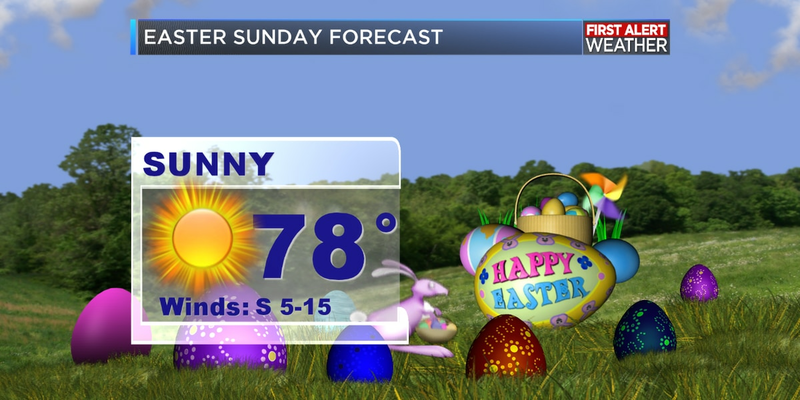 Pleasantly cool mornings in the upper 40s will warm up nicely into the 70s to near 80 by afternoon both Saturday and Sunday.